Game-changing technology strategies are transformational, exciting and disruptive for a reason. They shake up your status quo. They get you thinking about new ways to scale, compete and grow. They move you in amazing new directions. 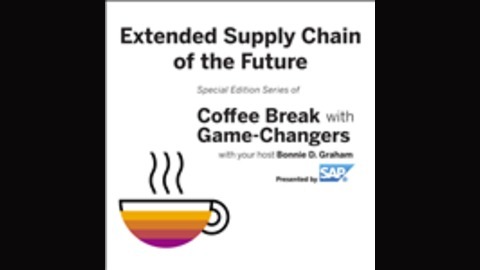 Join host Bonnie D. Graham as she invites you to take an additional Coffee Break with Game-Changers for our special series on The Digital Transformation of Your Supply Chain. We’ll explore the fundamentals of the supply chain, its impact on the buyer’s journey, how the digital transformation of your supply chain impacts your organization in terms of alignment and accountability, and the struggle to measure the influence of your supply chain on your bottom line. Learn how you can become the savvy Leader who takes your company across the finish line as you look ahead to the next wave of business innovation. 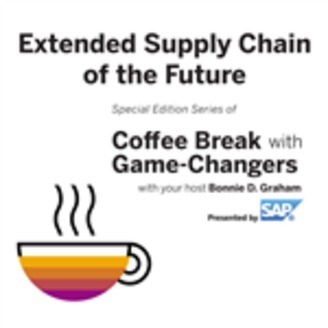 The Digital Transformation of Your Supply Chain with Game Changers, presented by SAP, heard live Tuesdays on the VoiceAmerica Business Channel. The buzz: “Although counterfeit drug production was originally concerned with lifestyle medications treating non-life threatening conditions, the industry has expanded to produce nearly every type of medicine” (cnbc.com/id/44759526). Blockchain Technology: A Hit or A Miss for Supply Chain Networks?